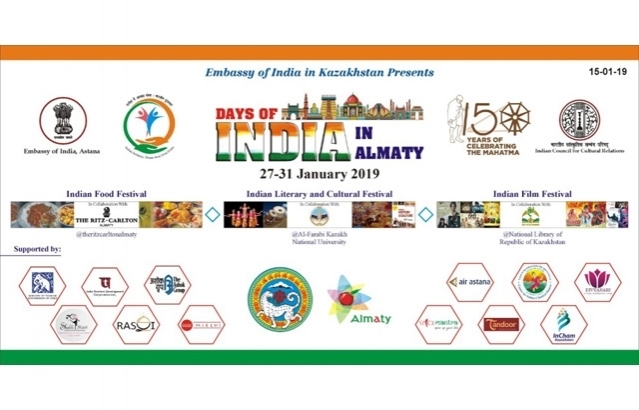 The Embassy of India in Nur-Sultan is celebrating “Days of India” in Almaty from 27-31 January 2019. 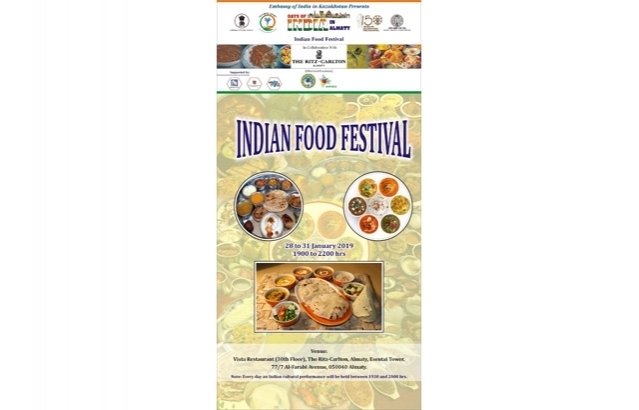 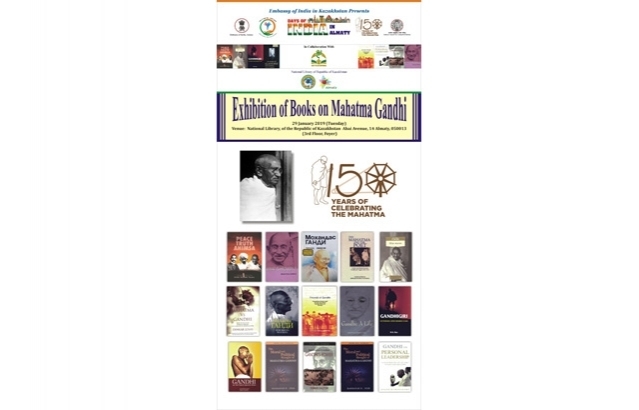 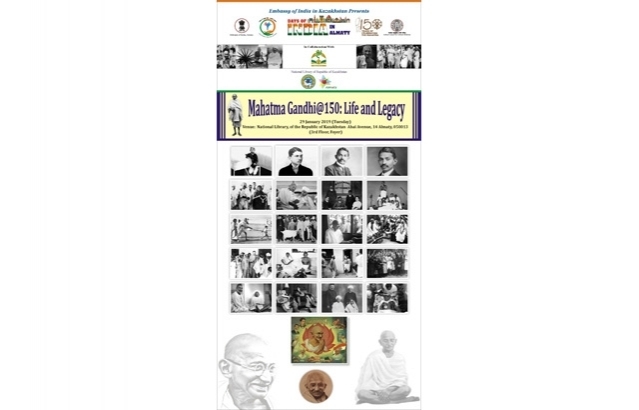 The event would include “Indian Food Festival”, “Indian Literature and Cultural Festival”, “Indian Film Festival”, “Exhibitions” and “Indian Cultural Shows”. 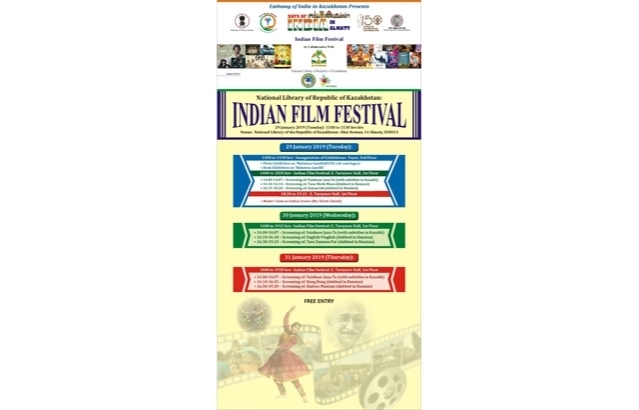 All are welcome to enjoy delicious Indian food, movies, dance shows. 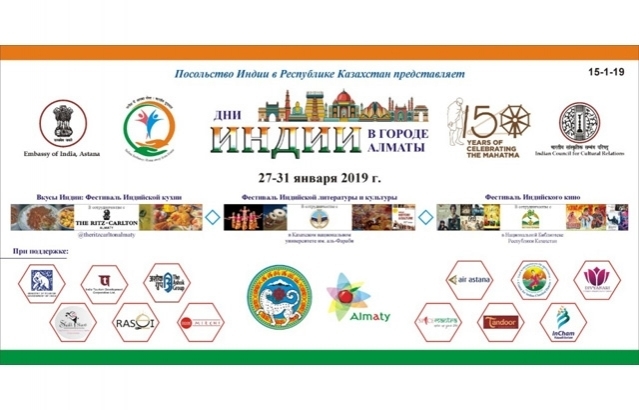 International Crop Science Conference & Exhibition and PMFAI-SML Annual Agchem Awards - November 14 & 15 2019, New Delhi. 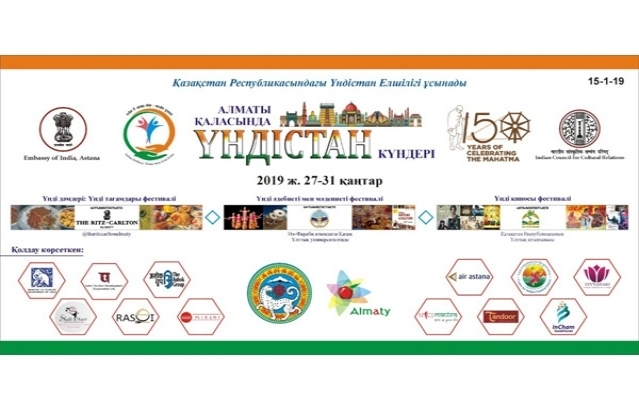 Press Release on series of Dance and Music Concerts in Kazakhstan from 12-15 March 2019 by 'Pioneers of Quepem''from Goa. 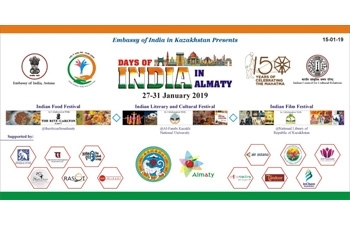 Celebration of the 70th Republic Day of India by Embassy of India in Nur-Sultan.